On Tuesday, Fitz and the Tantrums are here to make your hands clap. If he weren't hiking around a nearby Los Angeles water reservoir, he'd be pacing his living room. 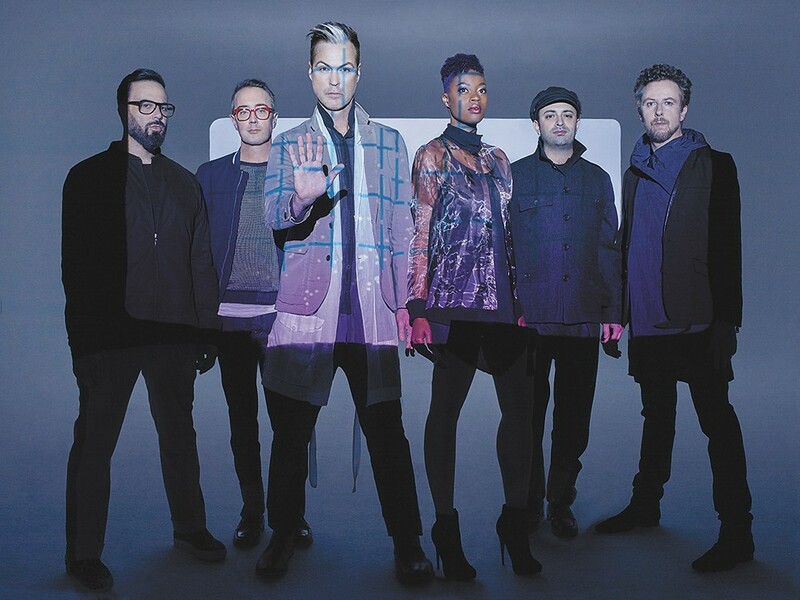 This is one of Joseph Karnes' few days of downtime before going back out on tour with the soul-pop band Fitz and the Tantrums, a group that has only continued to see its star rise since its inception in 2008. (They've been featured in various commercials and video games.) But on the phone, and in life, the bassist has to keep moving — something the band's recent single "HandClap," catchy as a smile, also promotes. Put it on and you can't stop dancing, and when singer Michael Fitzpatrick croons out the chorus "I can make your hands clap," he's not lying. That's all you want to do. "It's a subversive and sneaky thing," Karnes says. "But this subversion is for good results, it's not like a Manchurian candidate thing where we're trying to have someone kill a politician." Karnes is one of four J-named musicians in the band. Along with sax player and guitarist James King, keyboardist Jeremy Ruzumna and drummer John Wicks, they call themselves the J Crew. But it's the fierce vocals and presence of Noelle Scaggs and Fitzpatrick that make the band memorable. Coming onto the scene steeped heavily in soul music — which caught the ear of Maroon 5's Adam Levine early on, leading to an opening slot on his tour — the L.A.-based crew has become more poppy with their recent self-titled record. Some critics haven't been kind, saying it sounds too much like other Top 40 albums. But Karnes says he's proud of his group's musical strides, even if that meant bringing in outside writers and producers to get their third, quite personal, studio album off the ground. "I do read reviews sometimes, even ones where people don't dig it," admits Karnes, who's played music for 30 years. "I'm not writing for them. There are people who get what we're trying to do, and still it's not their cup of tea. As long as we're happy with it, that's what matters." The dream is to one day headline an arena tour, but they're happy with their mid-sized dates, like this week's stop at the Knitting Factory. Karnes says that through their shows, they're trying to create a cathartic experience.